Dialogue was an ongoing cornerstone of Bolen’s time as bishop: ­dialogue with other Christians, with members of other faith traditions, with people of good will and the culture at large. Events during his tenure included public inter-faith forums about issues such as “faith in the public sphere” or “peace and terrorism”, a public discussion on compassion between the Catholic bishop and a Tibetan Buddhist, and a public conversation on the music of Leonard Cohen by Bishop Bolen and Rabbi Claudio Jodorkovsy. A local Evangelical-Catholic dialogue initiated by Bolen in 2009 has produced a joint statement and nurtured many discussions and friendships, while an Ecumenical Formation Program has been established through the Prairie Centre for Ecumenism. After the retirement of long-time volunteer coordinator of Justice and Peace Tony Haynes, as well as a process of restructuring and strategic planning, a full-time coordinator was hired for the diocesan Office of Justice and Peace. Donations – first from the late Rev. Paul Donlevy and family and then from Holy Spirit parish – also led to hiring a half-time staff person to coordinate a new diocesan Office of Migration, created to oversee issues around refugee sponsorship. 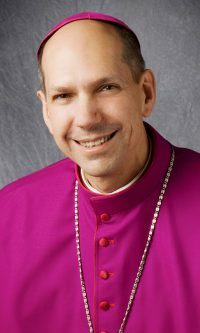 Persecution of Christians around the world, the scourge of human trafficking, the need to care for the environment, opposing the legalization of assisted suicide and euthanasia, protecting conscience rights, and promoting the need for palliative care, are among issues addressed in the diocese and beyond during Bolen’s time as bishop. Other milestones have included the return of diocesan missionaries from Brazil, a re-envisioned Christian Initiation and Catechetics office, the renewal of the diocesan Covenant of Care and sexual abuse policies, the establishment of a Justice and Outreach Year of Formation (JOY) program, and a discernment about ordaining men to the Permanent Diaconate in the diocese of Saskatoon. 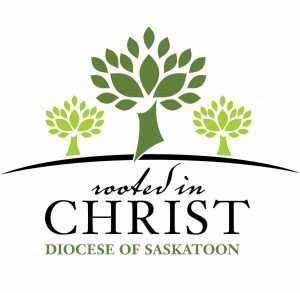 After six years as bishop of the Roman Catholic Diocese of Saskatoon, Most Rev. Donald Bolen was appointed Archbishop of Regina, with an installation celebration held Oct. 14, 2016.